Screen saver with a countdown. Is there a better alternative to Countdown? Is Countdown really the best app in Screen Savers category? Will Countdown work good on macOS 10.13.4? 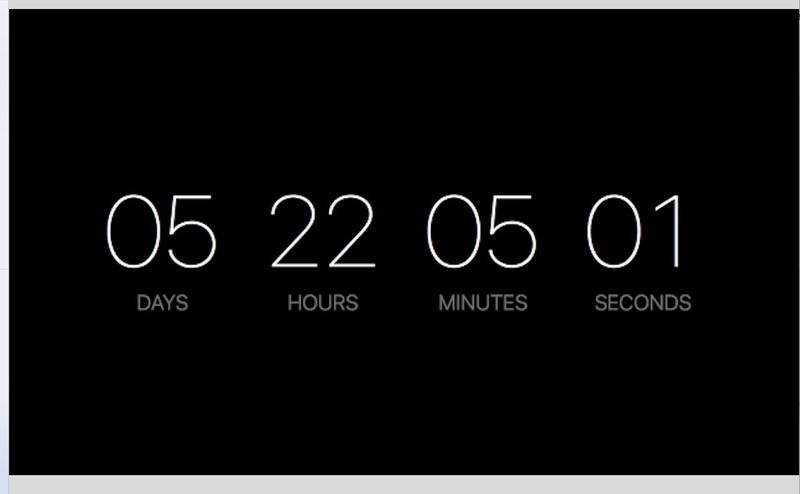 Coundown is a Mac OS X screen saver forked from Motivation. You can use it to countdown to any date you want. (If you pick a date in the past, it will count up from that date instead.) You can configure the date once you picked it in Screen Saver Preferences in System Preferences. Countdown needs a review. Be the first to review this app and get the discussion started! Countdown needs a rating. Be the first to rate this app and get the discussion started!